IF YOU want to talk coal or want to get into the coal business in Queensland, Rockhampton is the place to be, according to the Queensland Department of Natural Resources. About 12 months ago, the Queensland Department of Natural Resources and Mines (DNRM) established the Queensland Coal Hub in Rockhampton, as part of the Queensland Government's 30-year vision of making the state a global leader in resources. In a deputation to the Rockhampton Regional Council meeting yesterday, DNRM Coal Hub spokesman Peter Donaghy presented a detailed report outlining the role the Rockhampton region has in the advancement of the resource sector. "As of December 2014, there were approximately 50 coal mines in Queensland employing 30,500 people and 230 million tonnes net output coal was produced," Mr Donaghy said. 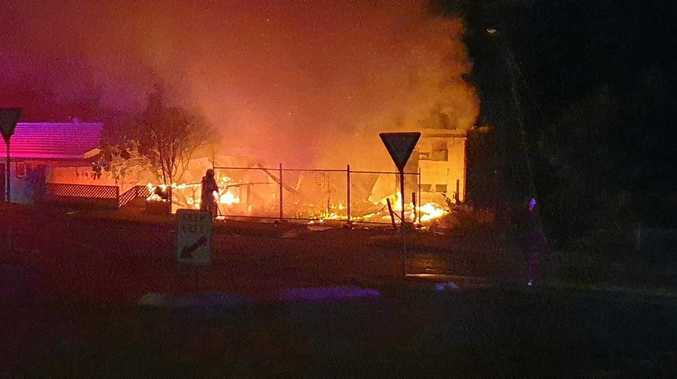 "There is a lot of activity in Central Queensland. 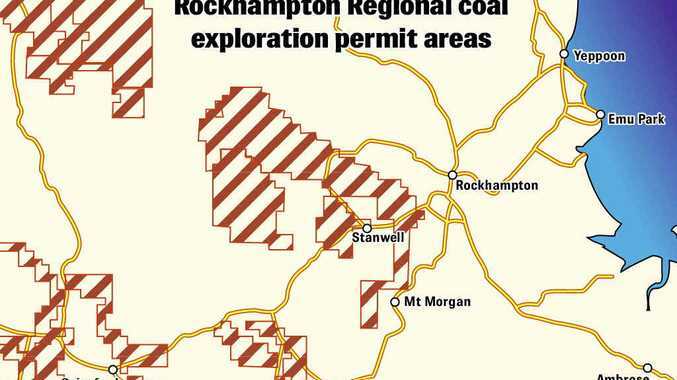 "While there are currently no advanced coal projects within the Rockhampton region, interest is growing and there are eight granted coal exploration permits held by six different companies. One of these companies, Metroof Industries Pty Ltd, is drilling at the moment and has had interesting results. "There are also two exploration and production permit applications for minerals, 42 granted exploration permits and 70 granted production permits." Exploration permits are issued for finding out what minerals and gases exist in a particular area of land and the quality and quantity of the deposits, to improve the state's knowledge and understanding of the resource base and to determine if it is economically viable to extract and commercialise the resource. According to the Queensland Exploration Council 2014 Exploration Scorecard, the CQ floods in early 2008, heavy state-wide flooding in 2010-11 and to a lesser extent the global financial crisis in 2009 curtailed coal and mineral production but over the past two years, production has picked up and the gap between the actual production and the global demand trend has narrowed. Rockhampton Regional Councillor Neil Fisher was extremely pleased with the presentation findings and said it was great to see growing mining interest and opportunities in the region. "I'm always keen to see projects with lots of potential to create employment opportunities in the region," Cr Fisher said. "The presentation highlighted the coal opportunities but it also highlighted the opportunities with minerals in the region. "It's a sign of confidence to see all of these companies interested in the region and to see the coal hub based in Rockhampton. "It was very graphic that even in a downturn there are all these projects to come online in the near future. During the downturn we need to prepare and make sure we are ready for the next boom." According to DNRM, Rockhampton has seen substantial economic contributions from the resource sector. These contributions include $178 million in wages to 1410 direct full-time employees and $464 million in community contributions and purchase of goods and services from local business which generated additional economic activity equal to $555 million in additional Gross Regional Product (GRP) and 6582 jobs being generated in and around the area. The total economic contribution from the resources sector in 2013-14 amounted to approximately $1.2 billion in GRP or 23% of the GRP in Rockhampton and 7992 full-time jobs. Cr Fisher said the findings were very encouraging. "I think it's always very good to see where the resource sector industry sits in our region and it's great to get an update on how much money from the resource sector is floating around Rockhampton," he said. The potential of gold mining at Mt Morgan was also mentioned and a Queensland Exploration Council spokesperson said when it came to Mt Morgan prospectively, we've only just scratched the surface. Cr Fisher said while there was promising movement at the Mt Morgan gold mine, production was a little way off yet.